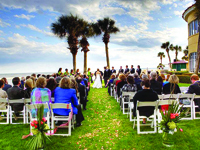 Happily ever after begins with a wedding on St. Simons Island. Our experienced wedding planners specialize in traditional or themed weddings and can work with any budget or party size. Their mission is to ensure that you start off on the same foot when tying the knot. 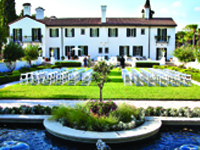 St. Simons Island dedicated wedding planners and coordinators can suggest countless ideas and make all the arrangements to assure that you have just the right wedding cake designer, florist, photographer, caterer and limo service for the wedding of your dreams.